uAvionix Corporation – a leading provider of communications, navigation, and surveillance (CNS) solutions for manned and unmanned aircraft – announced today it is releasing a newer, less expensive, and extensible version of its popular CAP1391 SkyEcho Electronic Conspicuity (EC) ADS-B IN and OUT solution for United Kingdom(UK) VFR aircraft. 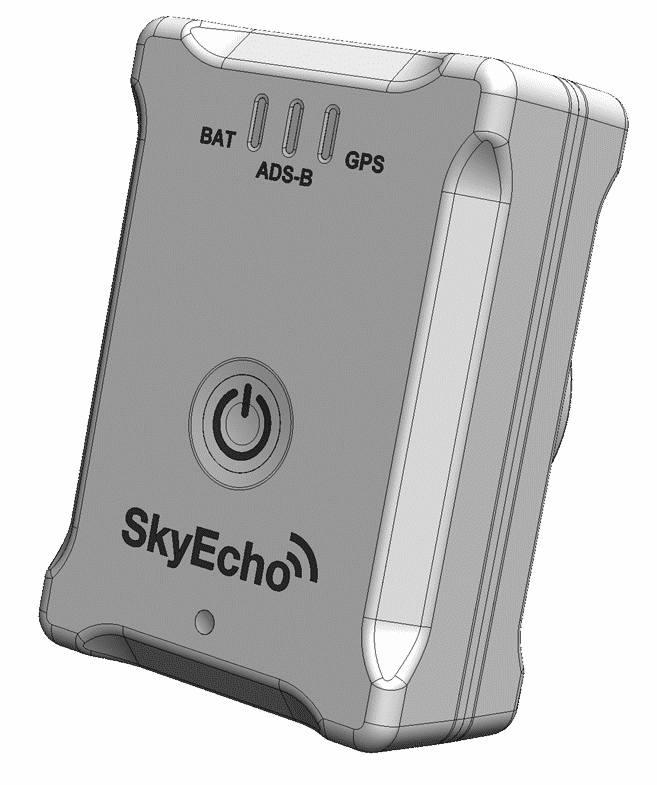 SkyEcho 2 provides the existing capabilities of existing SkyEcho plus additional functionality at a lower price point of £349 + VAT. However, SkyEcho 2 also includes additional optional functionality available as either a software unlock, or with the addition of extensible hardware that interfaces to SkyEcho 2 either via Bluetooth connection or through the USB-C data port. SkyEcho 2 will be previewed at Aero Friedrichshafen at the uAvionix booth #A3-505 from April 18-21. uAvionix will begin taking pre-orders in May 2018 with deliveries beginning in June 2018. The additional external hardware expansion capabilities will begin to become available during the fall of 2018.
uAvionix is currently conducting UAT ADS-B weather broadcast trials in the UK. To learn more, please see our blog articles on the topic.